Americans have an obsession with big things; no need to justify it because we all know it’s true. Ford F-250 diesel with an 8” lift in suburbia: check. 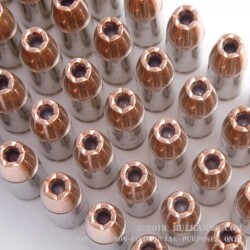 This is where the love affair with the 9mm Luger is a little strange. 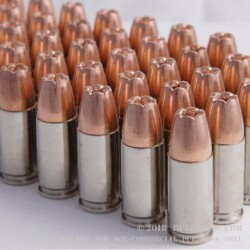 Hailing from Europe, it is decidedly small compared to the big-bore handguns which Americans were sporting in the same era such as the .45 ACP, .44 Special, .45 Colt, .44-40, etc. My theory is that we Americans justified going small with the bore by going big with capacity. See, it turns out that your odds of hitting something improve when you have more lead to throw at it. Or perhaps your angle is small, but not too small. 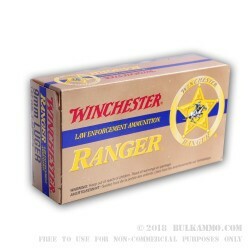 Everyday carry without stooping to a .380 ACP or the like. 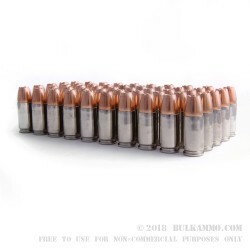 That’s not a bad idea at all; the capacity is still excellent even on some rather small pistols and the 9mm is very lethal. 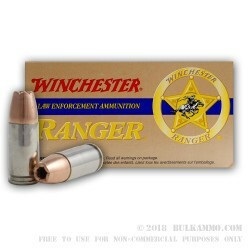 Couple that small size with a potent cartridge like Winchester’s Ranger T-Series with a 147 grain hollow point and you’ve got a real showstopper. 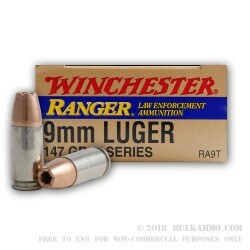 The 147 grain Ranger is the heavy end of the 9mm spectrum and exits a 4” barrel at 990 ft/s with 320 ft/lbs of energy. 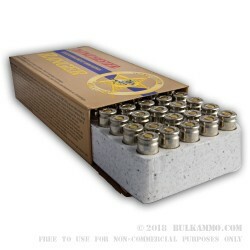 While not as spry as their hot 115 grain brethren, the 147 grain variety hits hard expands to a devastating 0.67”. Carrying a firearm is a right and should not be taken lightly. Should you choose to exercise this right, do so with the right ammunition to ensure your best outcome from the worst situation of your life. 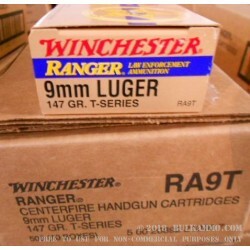 Winchester Ranger will help you get there.